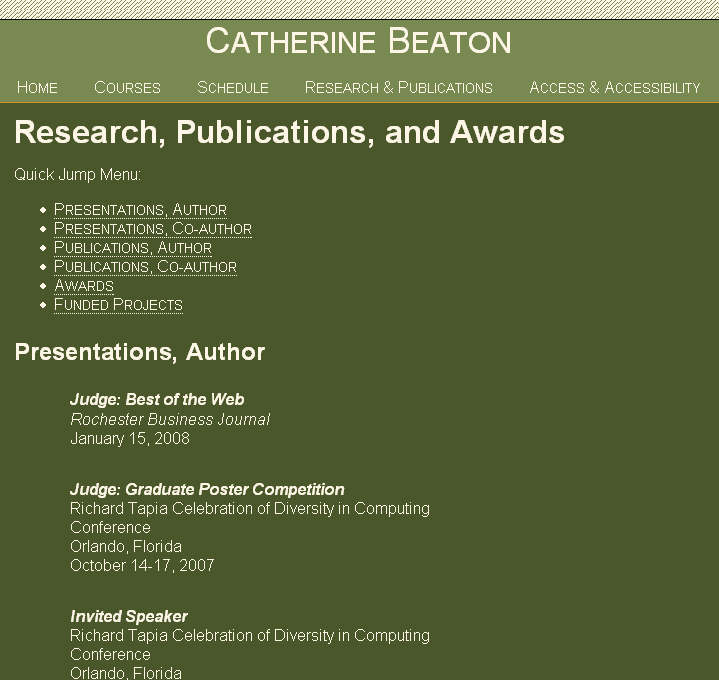 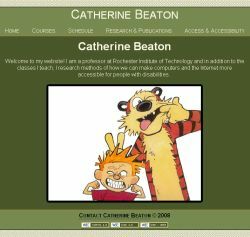 Cathy Beaton is a professor at RIT's computing college (GCCIS) and she was my professor for two required IT core courses, "Ethics in Computing" and "Human-Computer Interfaces" (HCI). 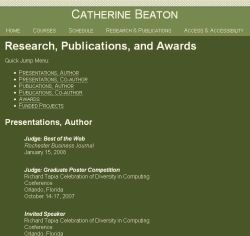 I liked her teaching and the subject matter so much that I ended up taking HCI and Technical Writing as my minor concentrations. 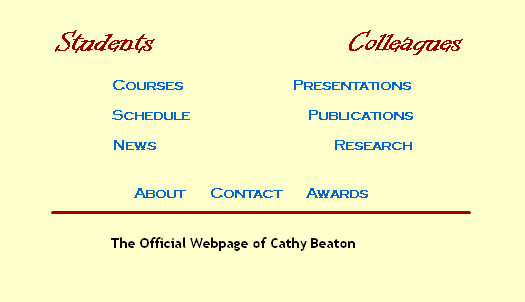 Cathy invited me to take a quarter-long co-op with her to explore the topics of HCI and accessibility by revamping her departmental website into a fully-accessible nexus of information.